Leaked specs for a Nokia X2 indicate that Microsoft has no plans on ditching their Android smartphone. 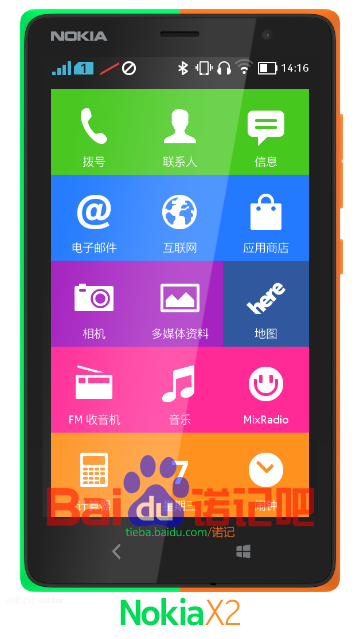 Microsoft's Nokia X may not be the Android smartphone that most people imagined, featuring restrictions on Google applications and a heavy emphasis on Microsoft products. The smartphone has also been criticized for its sub-par specifications, but the company appears to be sticking to that blueprint for a possible successor. 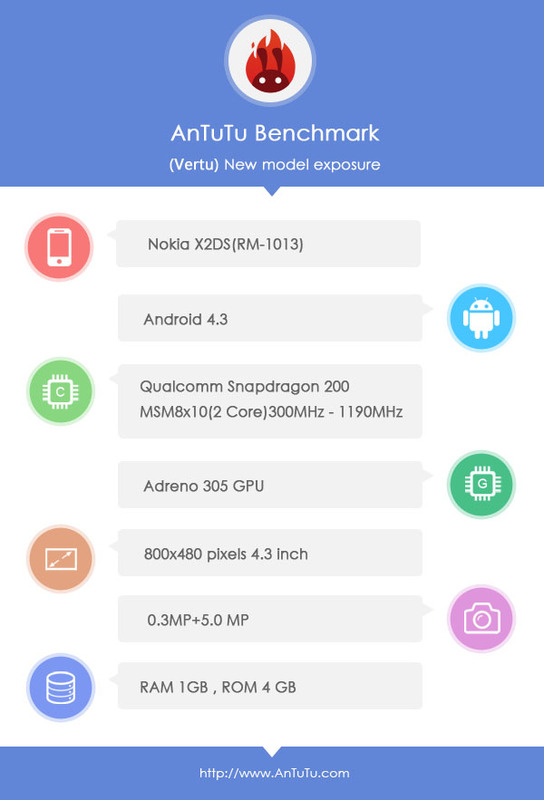 According to benchmarks listed on Antutu.com, Microsoft could be working on a Nokia X2 device that would once again target the budget-end of the Android market. Listed as the Nokia X2DS(RM-1013), with the "DS" possibly pointing to dual-SIM capabilities, the smartphone is powered by a Qualcomm Snapdragon 200 CPU, 1GB of RAM and only 4GB of storage. A supposed image of the X2 also accompanies the benchmarks, which have the device at 4.3" with a resolution of 800x480 pixels, slightly larger than the Nokia X's 4-inch screen. Android 4.3 Jelly Bean appears to be the OS of choice for the X2, and while that is an improvement over Android 4.1, it still isn't Android KitKat. There is also no mention of pricing or availability, but we can't imagine it'll cost much more than the current model's $120 tag.